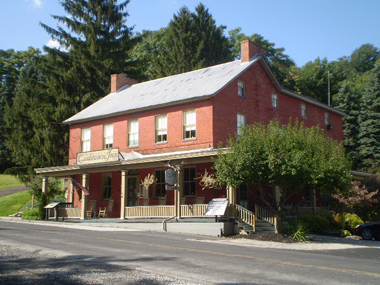 Cashtown (@ 9 miles) – While the town itself is extremely small, the Cashtown Inn, which functioned as Confederate General A. P. Hill's headquarters from June 29 through the morning of July 1, is worth visiting if only to have a delicious lunch or dinner. The inn is also a Bed & Breakfast. 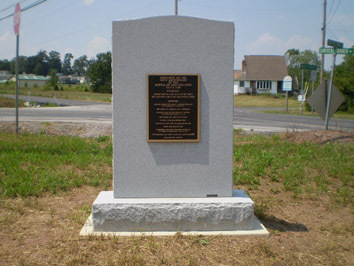 For more information, visit the webpage located at http://www.cashtowninn.com/pages/history.html. 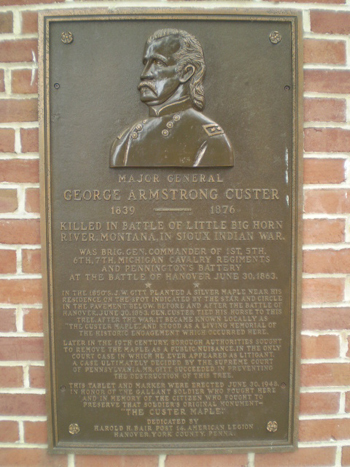 While going on National Park Service Battle Walks (see my "Battle Walks" page), participants are occasionally given access to very special locations or events that do not occur very often. One such occasion which I had the distinct pleasure to enjoy immensely was in the summer of 2009 during a Battle Walk entitled "The Road to Cashtown" that was given by Park Ranger Troy Harman. In addition to learning more about the role Cashtown played in the battle, both before and after, we were given permission for access to and a personal guided tour of Middlekauff Manor. 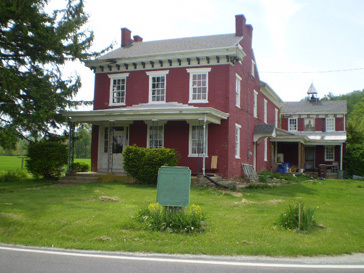 Middlekauff Manor, located approximately 3 miles east of Cashtown on the west side of Flohr's Church Road, was the site of the estate of Jacob Middlekauff that originally encompassed more than 1,000 acres and a Federal style house built around 1815. 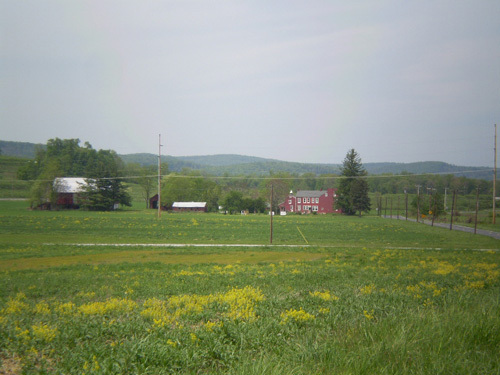 The house and surrounding land, owned by the Henry Deardorff family during the battle, was the site of a Confederate encampment from June 28-30, 1863. The current owner, who began a painstakingly accurate restoration of the house back in 1996, discovered in 2005 the archaeological site of a 1700's trading post just behind the house, and during the tour showed us some of the hundreds of artifacts ranging from Indian arrowheads to English and Spanish coins as well as glassware, china and pottery (see the middle photos below). The experience was in my opinion, priceless, and the view to the south at the foothills of South Mountain was alone worth the hike (see the bottom photo below). So if you ever get one of the rare chances to tour Middlekauff Manor, make sure you take advantage of the opportunity --- you will be glad you did !!! 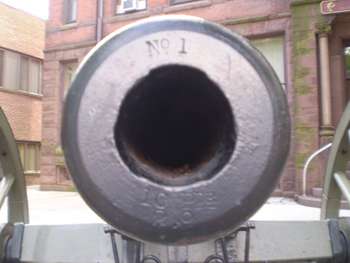 Emmitsburg (@ 14 miles) – A Union Signal Corps station was located on the mountain south of town, and townspeople actually observed the battle with binoculars and telescopes from there. For more information, locate the "Letters From Emmitsburg's Past: The Battle of Gettysburg seen from Indian Lookout - Sixty People with telescopes watch the day’s fight" on the Emmitsburg Historical Society's webpage located at http://www.emmitsburg.net/history/article_index/war.htm. I made the long (about 1 hour) trek up to Indian Lookout in September of 2008, but found the effort extremely worthwhile. Although you cannot really see the view north and northwest toward Gettysburg and the battlefield except during the winter due to the mountain being heavily forested (which was far less dense during the 1860’s due to the charcoal industry), an expansive and beautiful panoramic view to the east is still obtainable and convinced me that, with binoculars and telescopes, it would have indeed been possible to observe at least a portion of the battlefield action from Indian Lookout. 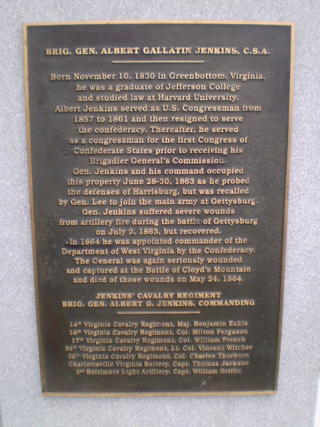 Fairfield (@ 8 miles) – Another minor cavalry action which occurred during the Battle of Gettysburg was the skirmish early on the afternoon of July 3 near Fairfield approximately 2.5 miles north on the Fairfield-Orrtanna Road. 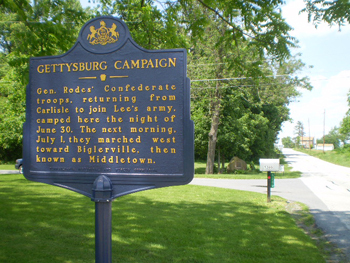 While the Rebel cavalry was successful in driving off Union cavalry, this did not affect the overall outcome of the battle, but it did allow the Confederates to secure control of the Hagerstown Road, a potential route of retreat that soon would be needed for that very purpose. A trip to Fairfield may be worthwhile, if only to have lunch or dinner at the Fairfield Inn, reported to be one of only five inns in the country that has been in continuous operation since the 1700's. 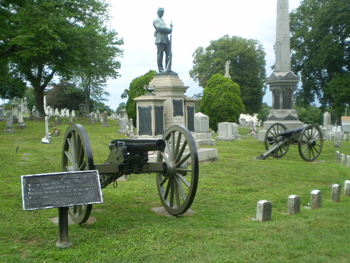 The letters “C P” intrigued me, so I contacted Licensed Battlefield Guide and friend George Newton, the author of "Silent Sentinels: A Reference Guide to the Artillery at Gettysburg" (see my “Books Worth Reading” page). 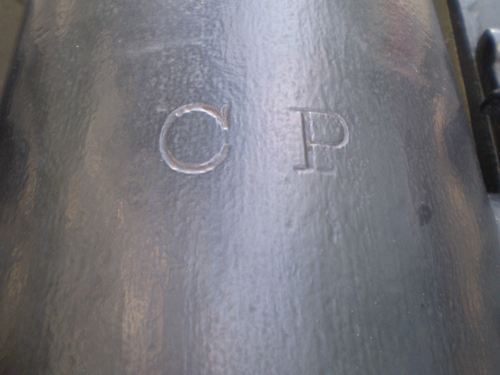 George informed me that the letters stand for “Commonwealth of Pennsylvania” and that the very first ten 10-pounder Parrott cannons were made for the state of Pennsylvania, adding that only half of these ten survive today (Numbers 3 and 4 are the property of the Gettysburg National Military Park, and one is privately owned in Princeton, New Jersey). Thanks, George !!! Hanover Junction (@ 32 miles) – Hanover Junction played a strategic role during the Civil War as a vital railroad junction of the Northern Central Railroad and the Hanover Branch Railroad and as an important telegraph station for communications between Washington, D.C. and Harrisburg. 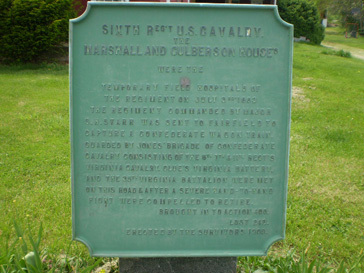 Colonel Elijah V. White’s 35th Battalion Virginia Cavalry (White’s Comanches) occupied Hanover Junction on June 27, 1863 while burning railroad equipment and many nearby bridges. 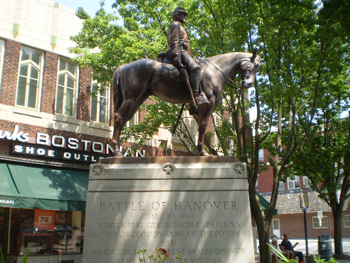 After the Battle of Gettysburg, many of the wounded came through Hanover Junction on trains taking them to hospitals in larger cities such as York and Baltimore. 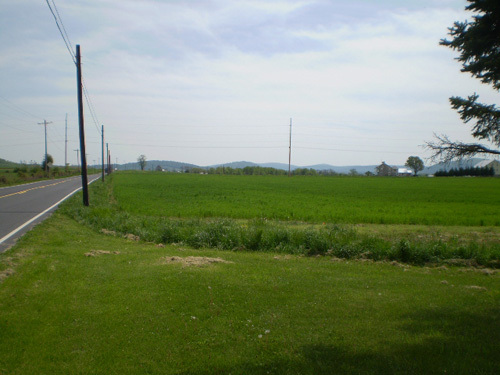 Hunterstown (@ 6 miles) – The relatively minor cavalry action here on the afternoon of July 2 nevertheless had serious ramifications involving the Confederate attack on Culp's Hill later that day. 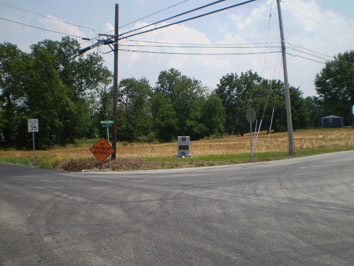 Go to http://www.civilwaralbum.com/gettysburg/northfield1.htm for more information and photographs. 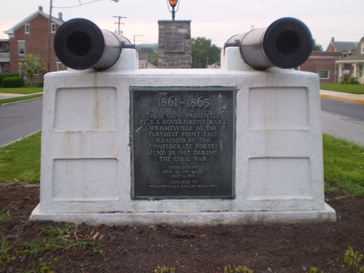 For those of you who are interested in venturing further distances, the state of Pennsylvania has a tourism webpage located at http://pacivilwartrails.com/ that is devoted to all major areas and towns involved in the Civil War, such as Carlisle (@ 35 miles), Chambersburg (@ 25 miles), Harrisburg (@ 39 miles), Wrightsville (@ 42 miles), and York (@ 30 miles). 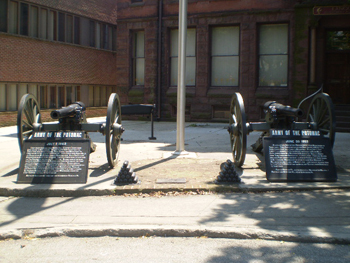 Harrisburg, the home of Camp Curtin during the Civil War, is now the home of the National Civil War Museum (http://nationalcivilwarmuseum.org). I visited the museum in February of 2008, and it was a worthwhile experience. If you are interested in going to the museum and have time to plan your visit in advance, you may want to also consider a side-trip to downtown Harrisburg to see the collection of the 370 Civil War flags that have been carefully preserved and are available for viewing by the general public. Located just a few blocks from the State Capitol Building, the Pennsylvania Capitol Preservation Committee maintains a separate facility and provides free tours but they are by appointment only. 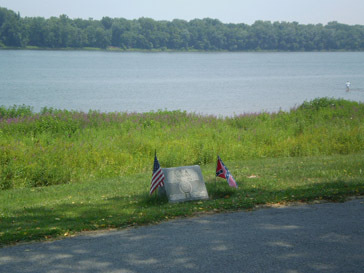 For more information, go to the webpage at http://www.pacivilwarflags.org/tours/scheduleTour.cfm or call (717) 783-6484. 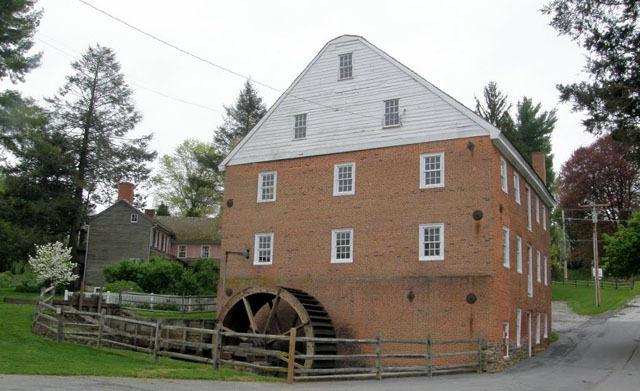 Union Mills, like Emmitsburg, is another location in Maryland worth visiting. 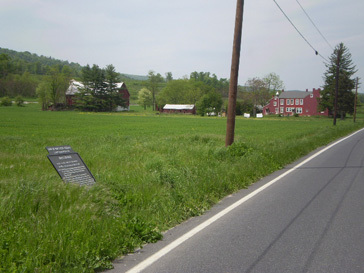 Located about 17 miles south of Gettysburg along Route 97 (the Baltimore Pike), the Shriver family homestead was the location where General J.E.B. 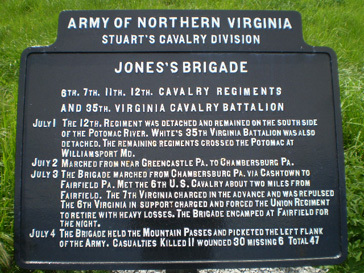 Stuart's cavalry camped on July 29, and after they left the next morning, General James Barnes’ First Division of the Union V Corps bivouacked there. The house, which was used as a headquarters, contains 12 rooms of original antiques and there is also a working grist mill that was built in 1797. Reenactments and other “Living History” events are also held. For more information, go to www.unionmills.org. 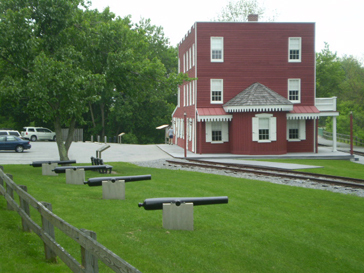 Wrightsville, the site of the covered bridge over the Susquehanna River that was burned by Union militia to prevent Confederate troops from threatening Lancaster and Philadelphia (as well as Harrisburg from the south), has a small diorama museum devoted to that historic day of June 28, 1863 (https://www.historicwrightsvillepa.org/burning-bridge-diorama). 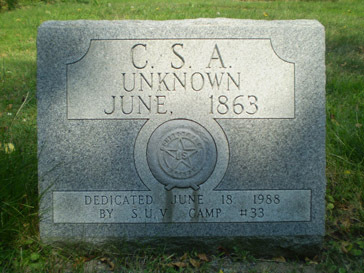 As the story goes, shortly after the Battle of Gettysburg, the body of an unknown Confederate soldier was found along the riverbank north of Wrightsville. 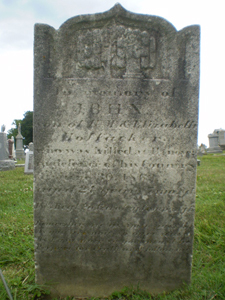 There were no means of identification, and it was not even known if the soldier was a member of one of General John B. Gordon's Brigade of Georgians (the 13th, 26th, 31st, 38th, 60th, and 61st Infantry Regiments) or a cavalryman from perhaps Colonel Elijah V. White's 35th Battalion Virginia Cavalry. Was he a scout trying to find a way to ford the river, or was he a deserter? No one knows, but he is probably still buried there so far from his Southern home --- may he rest in peace. 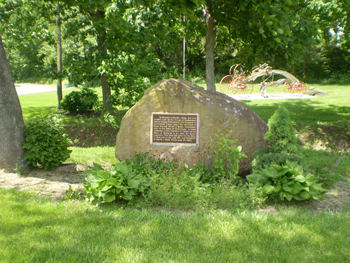 The original marker shown above was washed away in terrible flooding in September of 2011. 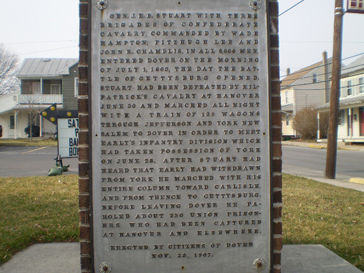 A small committee of York County history buffs representing several local Civil War organizations met or conversed regularly via e-mail to erect a replacement headstone for the dead Confederate soldier, and in April of 2013 a new granite marker from a local company in York County was installed. 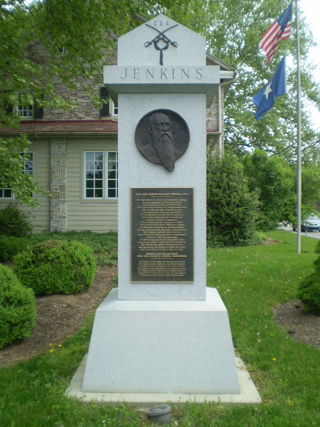 York, although it does not yet have an official walking tour similar to the one in Hanover, does have two webpages, however, dealing with York and its participation in the Gettysburg campaign. 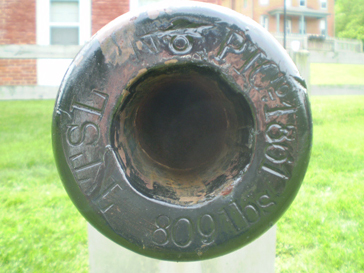 For more information, go to the website at http://www.downtownyorkpa.com/downtownhistory/civil-war and http://www.pacivilwartrails.com/stories/tales/york-surrenders-to-save-the-city. 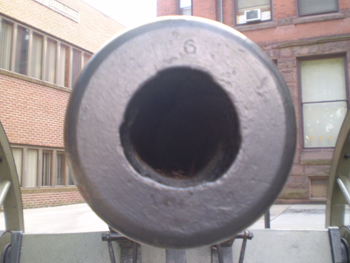 In addition, there is a blog worth checking out: the York Civil War Round Table's blog by author Scott Mingus at http://www.yorkblog.com/cannonball. 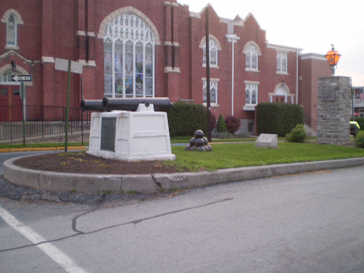 For more information on all these sites and on planning side-trips, you may want to consider obtaining the book "Pennsylvania Civil War Trails: The Guide to Battle Sites, Monuments, Museums and Towns" (go to https://shoppaheritage.com/collections/military-history). 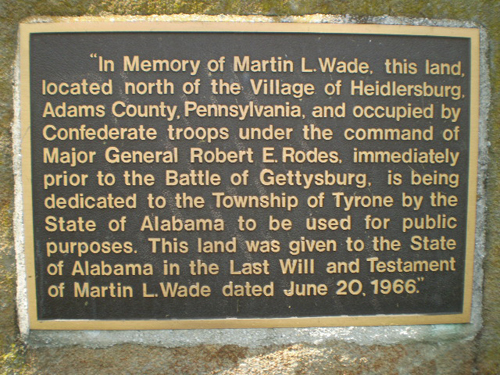 I contacted both Tyrone Township and the Pennsylvania Historical and Museum Commission in February of 2009, but they were not able to explain why Mr. Wade bequeathed the land to Alabama (it should be noted that Colonel Edward A. O’Neal’s Brigade in General Rodes’ Division consisted of the 3rd Alabama Infantry Regiment, 5th Alabama Infantry Regiment, 6th Alabama Infantry Regiment, 12th Alabama Infantry Regiment, and the 26th Alabama Infantry Regiment, but I was not able to find any reports or “recollections” by soldiers of those regiments). 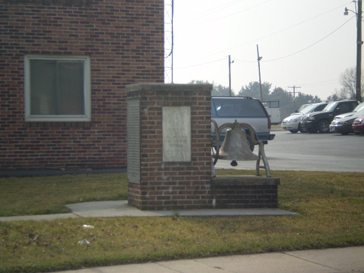 The Adams County Historical Society did not have any information as well. 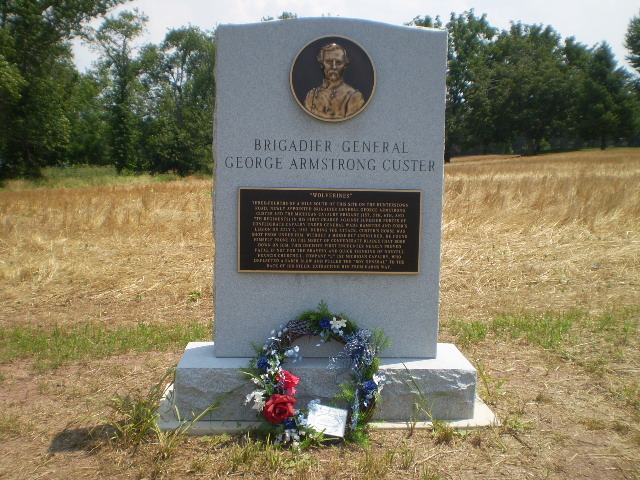 In August of 2016, I was informed by Steve Andrews of Alabama that he had been told the 6th Alabama Infantry Regiment had camped on the exact acreage given to Alabama and Martin Wade wanted to honor those men (who were basically decimated in the Battle of Gettysburg) because those troops did not forage off his land without paying and that Wade was paid in greenbacks and not worthless Confederate script. In addition, they did not tear up his crops or use his fence rails for firewood and it was said they camped on pasture land and not in fields containing crops so as to as not to disturb the rest of the farm. Thank you very much, Steve !!! I will be taking more side-trips in the future, so come back often !! !